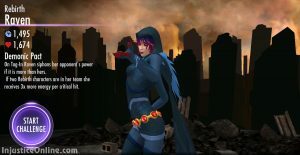 Rebirth Raven is inspired by the currently ongoing DC Rebirth comic book series. 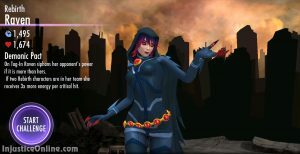 The character was added in Injustice Mobile version 2.13. 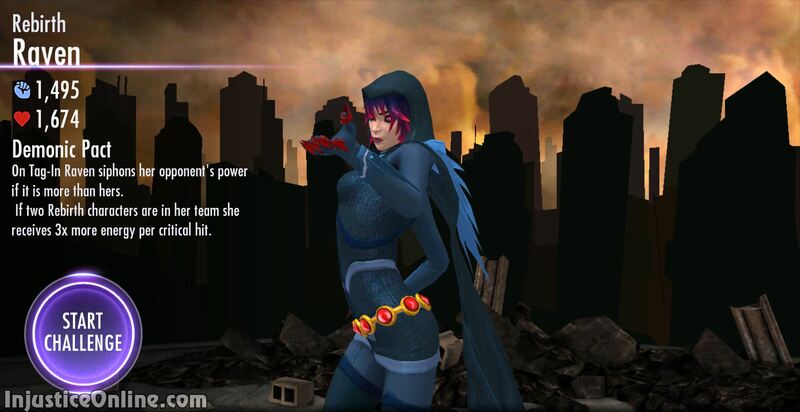 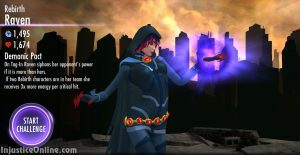 Description: On Tag-in, Raven siphons her opponent’s power if it is more than hers. 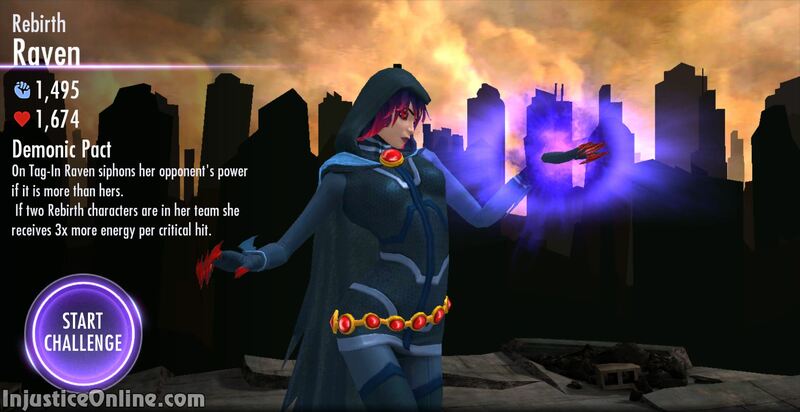 If Two Rebirth characters are on her team, she receives 3x more Energy [sic] per critical hit. 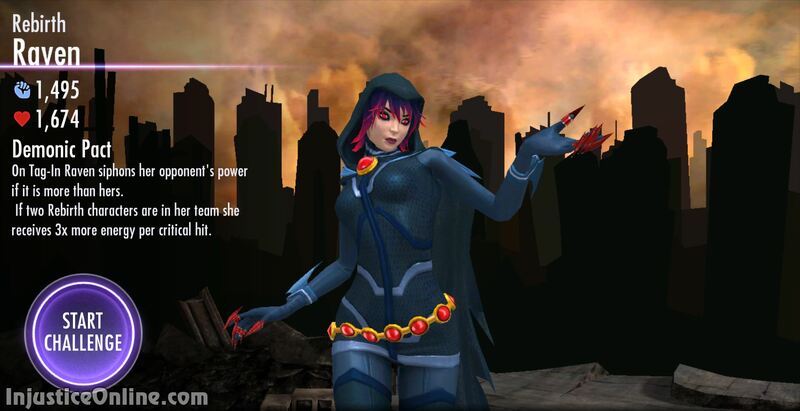 To beat this challenge you must have Black Adam, Harley Quinn and Lex Luthor on your team. 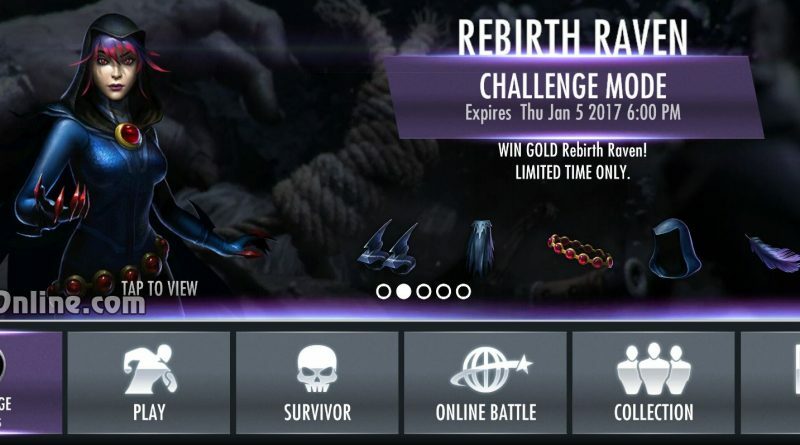 There are Bronze/Silver versions of all these characters so this challenge shouldn’t be a problem even for newer Injustice Mobile players.